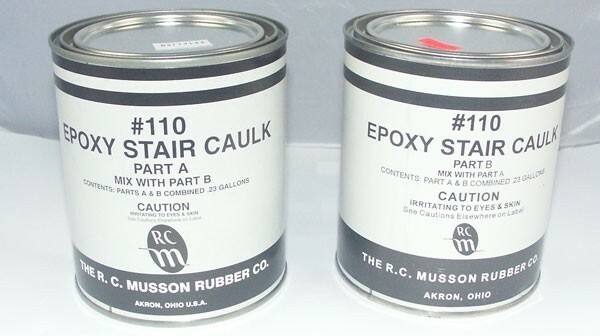 Epoxy Nose Caulk - Stair Tread Adhesives | Mats Inc.
Epoxy nose caulk should be used on all stair treads installations. It is necessary when Adjusta-Nose treads are being installed or when the step nosing is worn, broken or rounded. This two part epoxy will fill voids at the nose and give needed support underneath the stair tread nosing. Can also be used to repair surface of step.